Earlier this month I was contacted from Vanquish Books for the possible interest in a book review. Although a bit hesitant, as sci-fi generally isn't a category I would pick up and read, the synopsis sounded quite intriguing. Who knows…Maybe I could enjoy this genre after all? 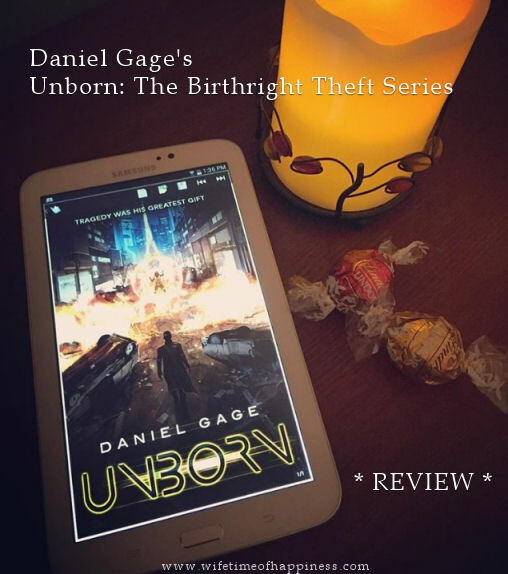 Join me now for the review of Daniel Gage's Unborn – The Birthright Theft Series! This entry was posted in Book Reviews, Kindle Downloads and tagged amazon kindle download sci-fi, Canadian Blogger, Canadian PR Friendly Blogger, Canadian Review Blogger, Daniel Gage, daniel gage book review, Hire a Blogger, PR Friendly, PR Friendly Blog, PR Friendly Blogger, PRFriendly, Product Review Blogger, Review Blogger, Sci-Fi, sci-fi book review, sci-fi kindle books, sci-fi kindle download, the birthright series, the birthright series review, unborn book review, unborn daniel gage.